Ra Ra Riot Free EP! Ra Ra Riot loves their fans! As a big fat thank you for loving them in return they are sharing some music. Download a free live EP from the bands Fall 2013 tour. Follow the link below to start rocking! 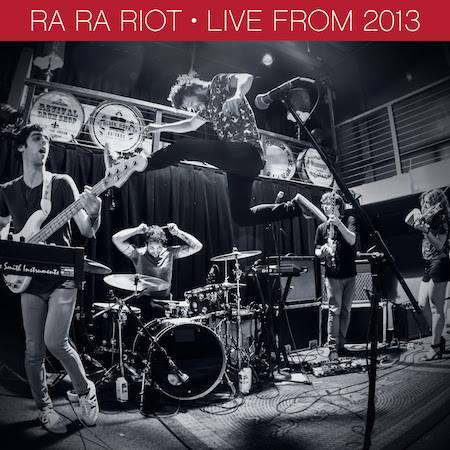 Tags: band, download music, ep, free music, free streaming, fun, live music, local art, Music, Ra Ra Riot, Ra Ra Riot 2013 tour, Ra Ra Riot album, Ra Ra Riot band, Ra Ra Riot download, Ra Ra Riot ep, Ra Ra Riot fee download, Ra Ra Riot free download, Ra Ra Riot free ep, Ra Ra Riot live, Ra Ra Riot live album, Ra Ra Riot music, Ra Ra Riot stream, Ra Ra Riot streaming, Ra Ra Riot tour, sac music. Bookmark the permalink.